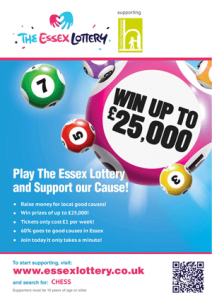 We are excited to be partnering with the ladies from the Inner Wheel Club of Chelmsford Mildmay, who have kindly chosen CHESS as their charity of the year. They will be hosting various events raising funds for us. 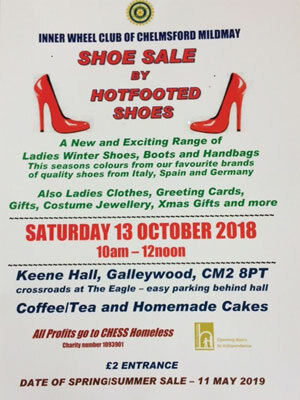 The first is a Shoe Sale by Hotfooted Shoes. Please help us spread the word amongst your friends, family and work colleagues. We hope to see you there!